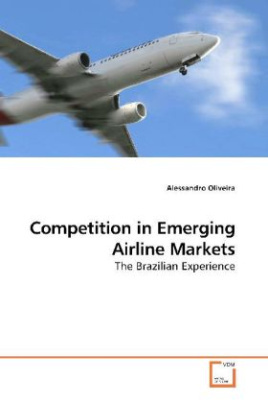 This book analyzes the behavior of airlines in recently liberalized emerging markets. By focusing on the Brazilian air transportation industry, the author develops three empirical case studies. First, an assessment of the determinants of the route entry patterns of Gol Airlines, the first low cost carrier of Latin America and one of the most successful carriers in the world. Second, a study of the pricing behavior of major legacy carriers in response to entry, which resulted in fare wars, severe financial losses and the bankruptcy of 70-year-old Varig Airlines. And, third, an antitrust investigation of airline conduct and alleged cartelization in the densest flow withing the country - the air shuttle Rio de Janeiro - São Paulo.